Belmopan, Monday 14th November, 2011: The Social Investment Fund, in collaboration with the Ministry of Health and the Belize Mental Health Association, is pleased to announce the official launching of the Mental Health Day Care/ Resource Centre, which too place on November 14th at 10 am at the project site at the corner of Tibruce and Vernon Streets in Belize City. 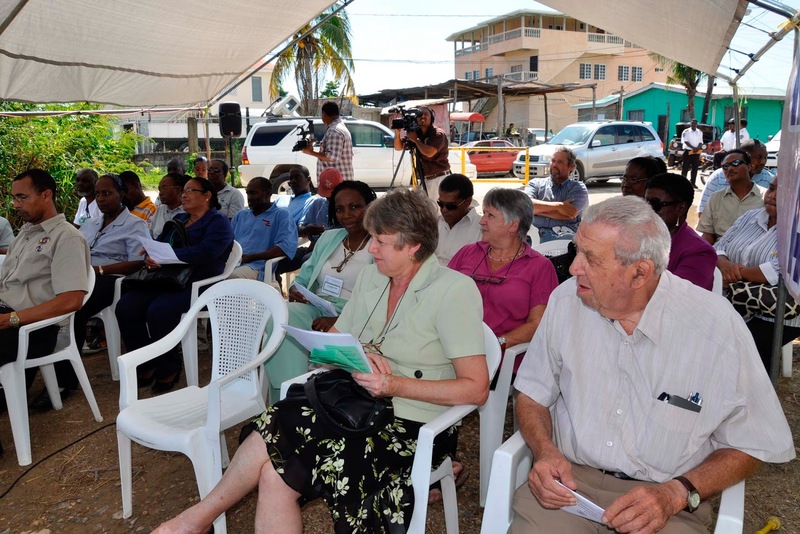 The project will be implemented by the Social Investment Fund and financed through a grant of $568,000 from the Caribbean Development Bank under its Basic Needs Trust Fund (BNTF) 6th Program. BNTF6 is a program that promotes poverty reduction through socio-economic initiatives and community empowerment. 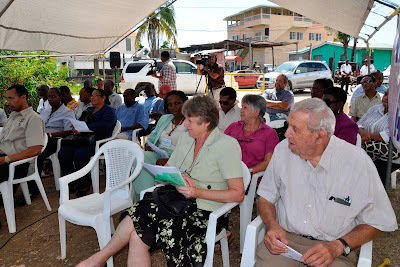 BNTF is jointly financed by the Caribbean Development Bank (CDB), the Canadian International Development Agency (CIDA) and nine beneficiary governments, including Belize. The project proposes to construct a Ferro-concrete building 80ft. by 48 ft. or 3,911 sq ft in area. A reinforced concrete roof, wind resistant aluminum windows and solid timber doors will be installed. The floor will be tiled and basic furniture and a chain-link fence to enclose the premises for protection will be provided. Provisions for the installation of electrical and plumbing systems in accordance with the regulations of the respective authorities will be included in the project. 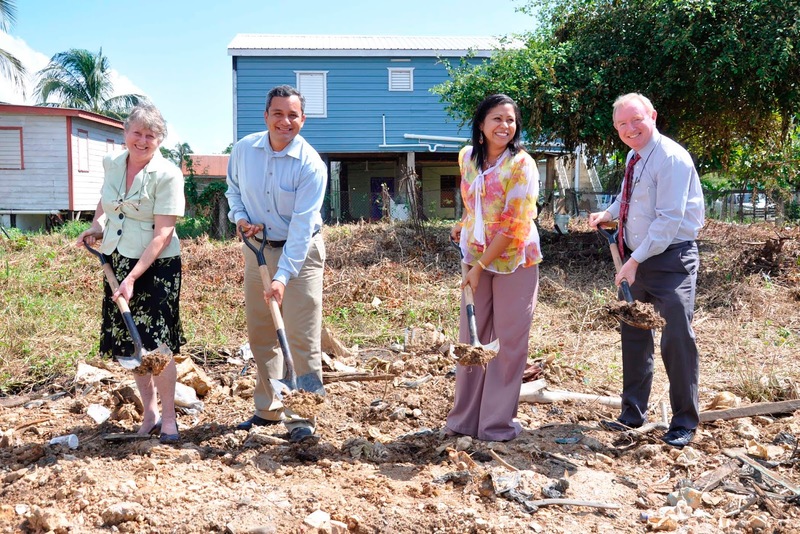 The centre will facilitate social support and training for income generation of the homeless and people living with mental health problems in Belize City. The facility will not be a residential centre but it will provide a daily meal, medical referral and recreation for its beneficiaries. The centre will have capacity to benefit 150 clients on a regular basis and will be governed by rules and regulations and no loitering and nuisance in the neighborhood will be allowed. The facility will provide respite from the street for a segment of the homeless population. It will also provide a means of social support and could play a role in building the self-esteem of non-institutional patients with mental and substance abuse disorders. Through the intervention it is hoped that some of the beneficiaries may become paid employees involved in the functioning of the day care centre. The Mental Health Association is a registered non-government association dedicated to raising awareness about issues related to mental health wellbeing, improving mental health services, and advocating on behalf of those with mental health issues and their families. It was incorporated in 2000 and serves as advisor to the Ministry of Health on issues relating to mental health. In addition, it serves as an advocate for patients with mental illness and their families and supports the Ministry of Health’s Mental Health Program in its activities. Speakers at the launching of the project included Mayor Zenaida Moya, members of the Mental Health Association and representatives of the Social Investment Fund.